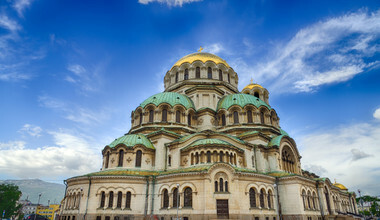 Bulgaria tours explore the legends of the past in a modern day setting. Bulgaria will amaze you. 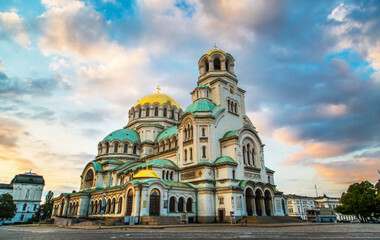 On a Bulgaria holiday, you’ll be able to experience everything from the ancient Bulgarian Orthodox frescos at Boyana Church, to the sparkling beaches of the Black Sea, to the pristine Balkan Mountains in the north and the Rhodope Mountains in the south. 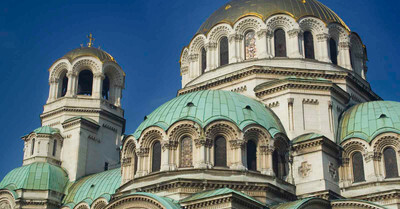 From the metropolis capital of Sofia with the grand Presidential Palace, you’ll begin the journey of a lifetime. A short trip from the largest city in Bulgaria, you’ll have the opportunity to absorb the culture of what is possibly Europe’s oldest city, the City of Seven Hills, Plovdiv, which has been chosen as the 2019 European Capital of Culture. With 10 UNESCO World Heritage sites to see, you will marvel at every step on your Bulgaria tour. 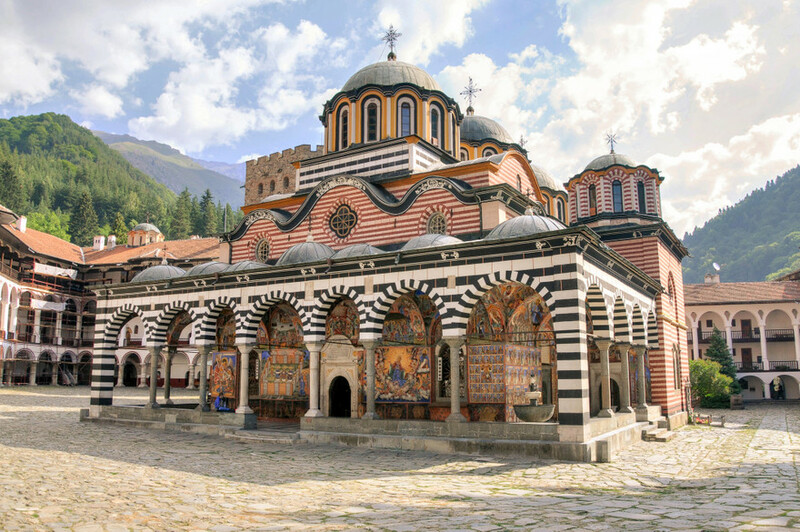 You can discover the magnificent Rila Monastery, visit Thracian Tombs (as mentioned in The Iliad), and explore the Old City of Tsars founded by Peter the Great. At some point, you may even relax in the hottest natural springs in Europe at Sapareva Banya with a geyser up to 18 meters high. At the end of your day, you can look forward to satisfying your appetite with delicious food that merges Turkish, Greek, and Persian influences to delight your taste buds. There are so many things to see and do when you travel to Bulgaria, without the expertise of your Destination Guide, you may not know where to start. 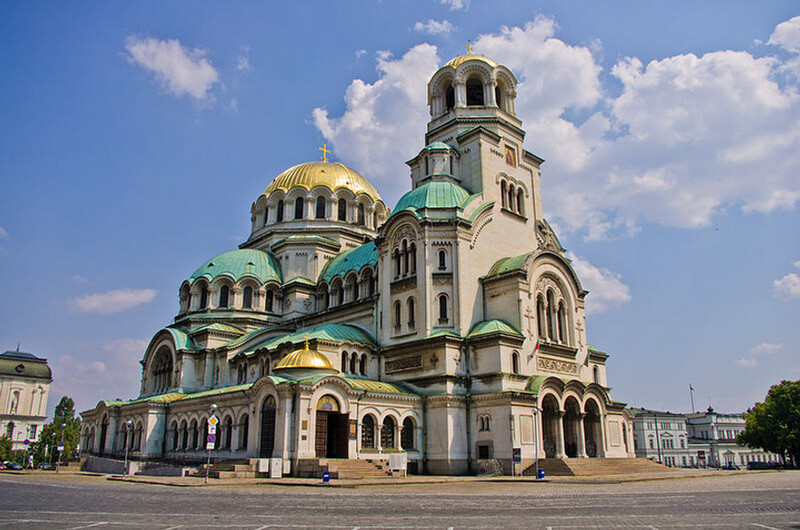 Your Bulgaria travel package will most likely begin in the capital city of Sofia, a lively city filled with history at every turn. 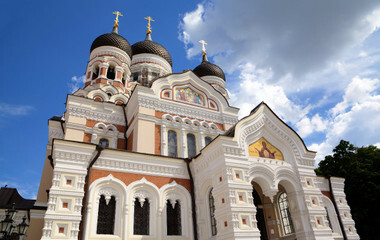 You can take a religious building walk and see the famed Russian Church, the Orthodox St. Alexander Nevsky Cathedral, the Saint Sofia Church, the Sofia Synogogue, and the Banya Mashi mosque. Just outside the capital, your trip to Bulgaria must include a visit to the Boyana Church, a UNESCO heritage site. 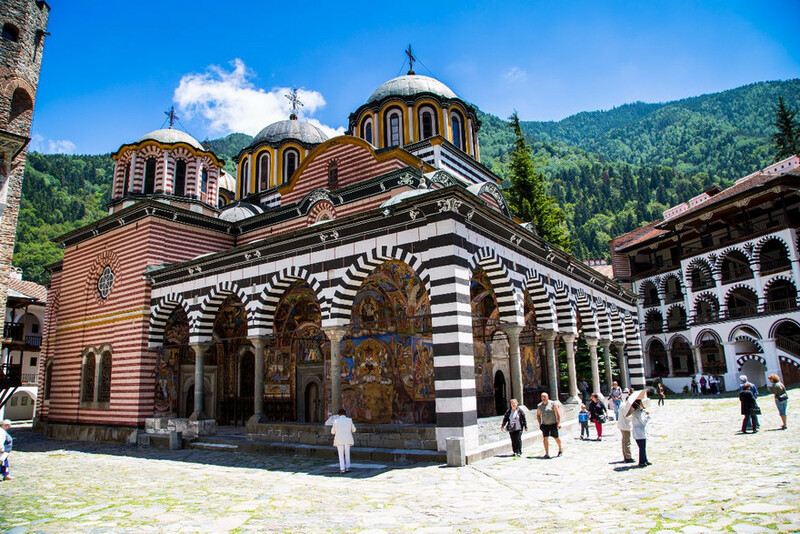 Inside Boyana Church, you will see walls covered with frescos of 240 Biblical and historical figures, painted in during the Second Bulgarian Empire in the 1200s. The unknown artist’s style of painting predates the renaissance artists by 200 years. From there, the spectacular Boyana waterfall awaits you, on a short hike through Vitosha Mountain. 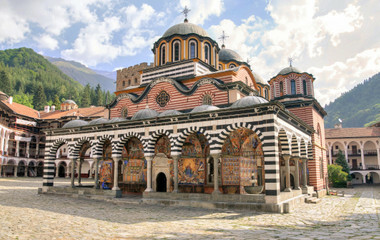 The Rila Monastery about 70 miles (110 km) outside Sofia is definitive of the Bulgarian identity. It is the first Christian monastery in Bulgaria. St. Ivan of Rila, the namesake and patron saint of Bulgaria, lived in the monastery in the 10th century when he settled in the area and devoted his life to prayer. This holy cloister is a UNESCO world heritage site, and contains relics and artwork from throughout the centuries. That is just the beginning of all the wonders you can discover on a Bulgaria trip. You’ll be fascinated by The Old City of the Tsars, the Tsarevets Fortress, in Veliko Tarnovo. An old city located on three hills, has housed palaces throughout the Bulgarian history. The former capital during medieval times, the fortress is visible from all points in the city. Today, Veliko Tarnovo recreates the story of the city with a spectacular Light and Sound show, through laser and light effects, dramatic music and ringing church bells. The show is free on national holidays and private showings can be arranged other times. If you want to include sunny beaches when you travel Bulgaria, there are several recommended beaches along the Black Sea coast, including the historical town of Varna, a primary port between East and West for centuries. Bulgaria has always been at the crossroads of civilization. A proud nation that boasts many influences, yet maintains a uniquely Bulgarian culture, waits. Bulgaria boasts what is thought to be the first civilization in Europe, the seaport of Varna along the Black Sea. 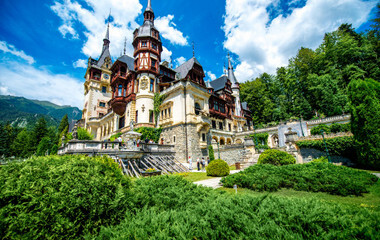 On your Bulgaria private tour, you can tour the Varna Museum of Archeology, and see the famous Varna gold, discovered in the 1970s, dating possibly as far back as 4600 B.C. Archeologists unearthed graves filled with gold artifacts of stylized pendants, bracelets, beads and headpieces. Further inland, located between the plains of the Balkan Mountains to the north and the Rhodope Mountains to the south, is what is thought to be the oldest continuously inhabited city in Europe, the City of the Seven Hills, Plovdiv. While today there are only 6 hills, the name remains. On a clear day, you can see both mountain ranges, but that is just the beginning of all you will find on a Bulgaria holiday package. Plovdiv is easily walkable, and your Bulgaria tour will take you from a Roman Theater, to mosques from the Ottoman Empire, to Russian monuments on Bunardjik Hill. Additionally, if you are a student of historical handwriting, you will love learning that the First Bulgarian Empire developed the Cyrillic script alphabet, the basis for Orthodox Slavic and Russian alphabets. 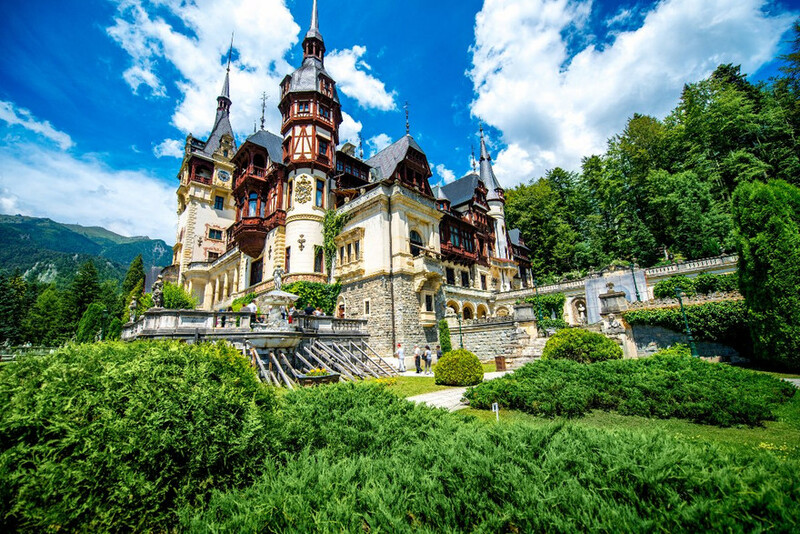 With the mountain ranges, coastal areas, and the Danube River (along with hundreds of smaller, less deep rivers), you will marvel at the natural wonders you find on your Bulgaria tour. You will appreciate a nature hike to Emen Caves and Canyons, in the foothills of the Balkan Mountain range, where artifacts from the Neolithic age have been discovered. To the South, in the Rhodope Mountains, you can see the Kardzhali Earth Pyramids, a geomorphical structure formed nearly 40 million years ago from volcanic ash. These rock formations are named for their appearances, so you will learn the legends behind the “petrified stone wedding”, or perhaps create your own stories from what you see.